We’re back with the regular weekly Rad Mix updates here after a little break and it’s nice to be back into some sort of rhythm. The music cycle is getting close to winding up for the year, so there’s probably not more than 3 or 4 of these weekly ones to go before we hit the new year, where new music is scarce. Then it becomes all about the ‘best-of’ lists, which I really should start working on! I’d love to know if you have a process of remembering the songs that come out each year. Do you store them in a playlist? Shazam them? Write them in a note on your phone? For me, this weekly update is helping me top keep track of the songs I am digging, but I’ll still have hundreds to go through at years end! Are you thinking about it yet? 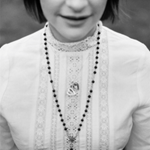 One of the best voices in Australia is that of Megan Washington and while it feels like it’s been forever since her last track, Saint Lo only came out (almost exactly) two years ago. The Sydney singer has now crafted a new song that is as light as it is dark. Claws starts with a delicate retrained beat before launching into a luscious chorus showing off the excellent pop-sensibilities of the artist along with electronic horns, muted keys and flowing strings. If that’s not enough, the biting lyrics highlight his fabulous return from the Sydney artist. Since releasing a banger of a track in Week 18 of this year, IV League have been playing consistently in and around their home town of Melbourne along with a buzzy appearance at BIGSOUND and support shows for City Calm Down. Their latest, Lose Me, goes in a less punky direction, giving lead singer, Bella Venutti, a chance to really shine. There’s shades of the rocky stuff in the chorus, but overall it’s a more tender offering and it’s a diversity that will serve them well. It’s a really solid track and leads into a debut EP, due early 2019. Every time I happen to bump into Jess Cerro (aka Montaigne) in Sydney I just have to ask, “When’s the new music coming?” It’s not that I’m being impatient (much), it’s just that I fell so in love with her debut album from 2016, Glorious Heights, that I couldn’t wait for more. And here it is. 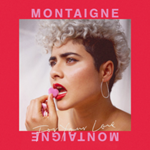 For Your Love takes her track from that debut, Because I Love You and flips it on its head, as she explains that it is related to the same relationship. This track features her unique soaring voice, incorporates a mix of styles before a prominent bass and disco organ take you home. It’s deliciously quirky as so many of her songs are and sets 2019 to be a very exciting year for the artist. Summer is coming and if you’re like me you’ll be seeking out those chilled out summer songs that you can play in the background while you’re baking at the beach, relaxing in a hammock or cruising down the coast. The soundtrack has arrived, just in time. 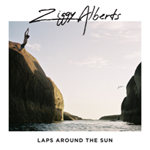 Ziggy Alberts, a 24-year old from Queensland’s Sunshine Coast has been working at his craft since being a teenager and has stepped up with an impressive album recorded around the world. Laps Around The Sun has tinges of Jack Johnson, folky influences and will have you forgetting about work in no time. A massive world tour of over 100 dates starts next month if you’re keen on getting up close and chilled. 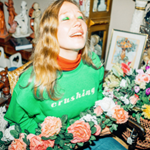 There’s just something about Julia Jacklin‘s voice that touches me. It’s sensitive, it’s real and makes me warm from the inside. After teasing us with Body just 5 weeks ago, we are now treated to not only another fantastic track in Head Alone, but news that her second album, Crushing will be released on February 22nd, 2019. Jacklin sings about needing space to be alone, enforcing boundaries and, in her words, “This song is me raising my arms and running into an open field.” It carries on from her fantastic debut of keeping her raw voice at the front of the mix and singing about deeply personal experiences. 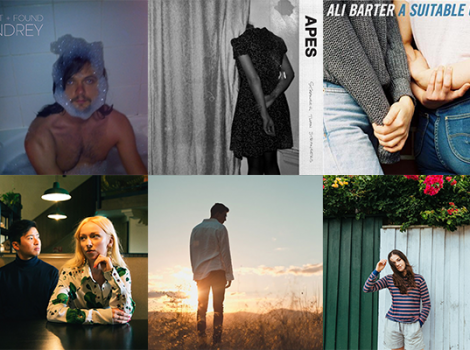 Triple j’s Unearthed High has a habit of finding young artists that show enough early talent and the nous to develop their sound into a mature direction. 18-year old Perth based rapper, Arno Faraji, has dropped a smooth new track, things change that shows that he’s taking a step into a more complex production; Eery organs, tropical drums and a playful vocal highlights this track. There’s a real groove going on in here and it’s a great base for the young artist to launch from, particularly having just signed a management deal with Astral People, a forward thinking crew of young artists. With a single note of a piano, Lisa Caruso manages to put you into a trance, just like those ones you get when you watch Twin Peaks. A subtle beat, a mysterious guitar and a touch of danger take the fore in the new song from the Sydney vocalist that sees her returning from an extended time of pain, physical and mental. Shake, Baby, Shake is as metaphorical as it is literal. 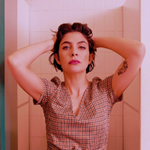 The song serves as a fresh start for the artist, which saw he heading to London to work with Benjamin Fletcher (Sarah Blasko, Marina and the Diamonds) and Matt Ingram (Lianne La Havas, Laura Marling). Unfortunately, her health, the nasty Crohn’s disease, stopped her from finishing the songs last year, but now, feeling healthier she takes a fresh new step in a new direction towards an album. Let yourself fall in. The crop of amazing female singers in this country are not about to stop. I’ve been a bit slow to get onto the Samsaruh band-wagon, but I’m definitely on board now. If you’re keen to join, take a listen to her hot new track, The Beginning and enjoy the booming pop track that showcases, not only her huge vocal, but also songwriting skills that have seen her write for Peking Duk, Just A Gent, Slumberjack and Kuren to name a few. Speaking of the beginning, the bass at the start of this track sucked me right in. A new EP is due next year. Not bad for someone that was busking in Byron Bay not that long ago. Just let the last song lead you into another pop banger for this week. 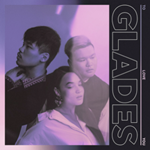 Glades have just released their debut album To Love You and it includes this cruisy stonker of a track. 80 Miles is certain to propel this Sydney electronic group to further heights after their song Do Right has smashed over 61 million plays on Spotify alone. Singer, Karina Wykes, holds down every track this trio release and the production is no slouch. Their album is certain to feature on a lot of dancefloor playlists this summer. 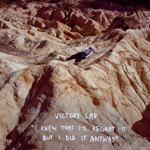 A new discovery this week from Melbourne group, Victory Lap. I Knew That I’d Regret It But I Did It Anyway wins not only the longest song-title of the week award, but shows off a warm Aussie-tinged indie-rock song created by one man, Alex Badham. Formally of Aleks and The Ramps, Magic Hands, this Melburnian has created a soupy bass-driven guitar track that slips between toe-tapping, dreamy and deadpan. I really like it’s straight-ahead production and no-nonsense lyrics.